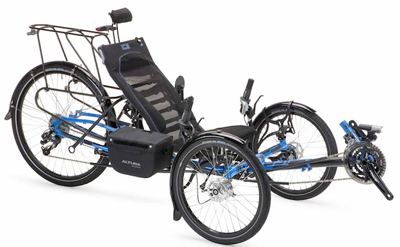 The Catrike Pocket is a nimble, lightweight, compact trike built specifically for shorter riders. Like all Catrikes it is loaded with value. 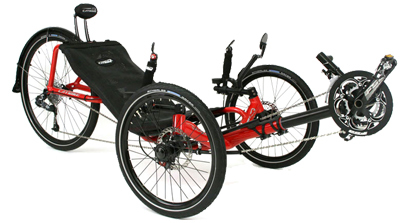 The Catrike Pocket has everything is scaled down for the shorter rider. 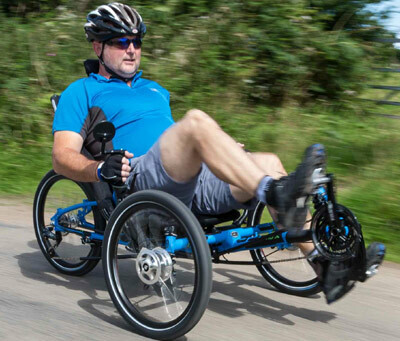 This results in a very lightweight trike at 33 pounds. (For comparison, this is nearly as light as the ICE VTX at half the price.) Short people often have to compromise when it comes to performance bikes, so we like it when someone offers you such a good deal for being short. The Pocket has a more narrow track lets it roll right out the door. Even if you don’t need the lightest thing rolling, you might just appreciate the weight savings when transporting or storing it. 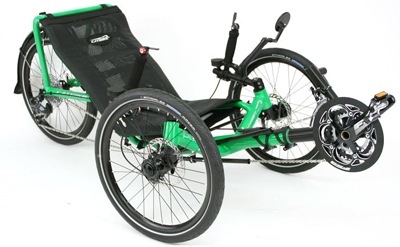 A Small Space Frame Catrike with big features. 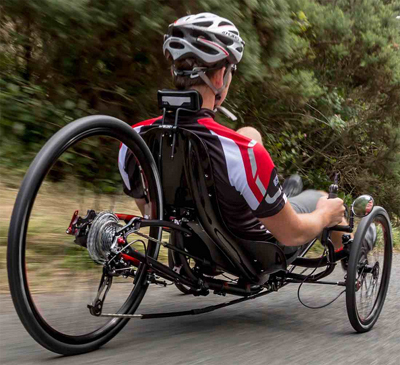 It has a narrow track, is quick and lightweight. The Pocket is perfect for smaller riders.